Shanghai Shibang Machinery Co. Ltd., which always take "innovation" as its' corporate value, finally developed medium speed coal mill through continuous improvement of the original mill-type in 2010. 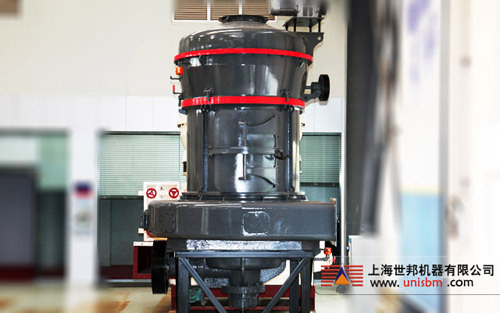 This kind of mill is for small and medium customers in the grinding field of coal and ore, including MTW European coal mill and MTM Medium Speed Trapezium coal mill. As we all know, China is the first coal producer power in the world, also the first coal consumer power. As the drive of national economy and social development to energy demand, in the future for a long period of time, the demand for coal will continue to grow. However, the present system of coal preparation industry is facing a few major issues, such as coal combustion and explosion. Based on years of industry experience, Shanghai Shibang Machinery Co. Ltd. introduced advanced technologies from Europe and designed a monopulse open circuit system, it effectively improves the security of the system of coal preparation, bring a new revolution in the coal processing technology. This coal preparation system adopts explosion-proof and anti-static electrical appliances through the centralized control of digitization, full automation of operational procedures. The collection of coal dust and processing of braize can be completed at one time by the special impulse precipitator. It provides a favorable protection for the realization of direct injection and indirect injection. The coal preparation system is mainly used in the coal injection into blast furnace, and coal injection into rotary kiln, it is provided with features such as less investment, low energy consumption, large capacity, security and reliablility, advanced technical specifications, etc.